Our rainwater harvesting systems provide treated, filtered water ready for reuse. The progressive pump ensures that your recycled water is free from bacteria, spores, and other harmful microbes. Eco-friendly and efficient, our vehicle wash water treatment systems minimize your water usage. These also reduce your operational costs without compromising your facility’s performance. All of our ozone generators have top-of-the-line features, such as oxygen flow control, ozone output control, internal fans, and built-in surge protectors. Our ozone generators feature cutting-edge technology, such as the corona discharge ozone generation system. Our rainwater harvesting equipment comes in many sizes and capabilities to best meet your building’s specific needs. Water is only released from our rainwater harvesting equipment when it has been completely filtered and disinfected. Reclaimed water that has gone through our systems can be used for heating, cooling, rinsing, landscape irrigation, and other water-intensive tasks. Our water filtration and sanitation products are extremely durable, as they are custom-designed and engineered for use in industrial and commercial applications. Our reclaim systems provide an additional source of water for industrial or commercial uses without adding to your water bill. Recycling water for non-potable use reduces the need to draw on sources of fresh water, minimizing the loss of potential drinking water and keeping wastewater from entering the oceans, rivers, and lakes. Our professional services offers on-site consultation and system commissions services. We provide after-sales service, including equipment maintenance, to ensure that your system works properly and does not cause any operational delays. 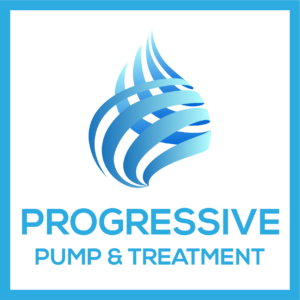 Progressive Pump and Treatment is your one-stop shop in Sarasota, FL for turnkey water reclamation system packages. Our team is dedicated to providing excellent customer service, and we give support to our clients long after we’ve completed the sale. We proudly serve clients worldwide. We recommend equipment that’s suited to the size and nature of your business operations. For your peace of mind, our products come with a one-year warranty. You can also be confident that our equipment is code-compliant. We evaluate your site before designing a system to ensure that it meets your specifications and produces the results you want. Some of the design services that we offer include site evaluation, site-specific engineering, and on-site commissioning. You don’t have to look elsewhere for professional installation services. Our team can install your water reclamation system or ozone generator on your site. We take care of all your water harvesting and reclamation needs, from recommending equipment to training your staff how to use it and keep it running smoothly. Our team specializes in delivering the right set of products and services for any application. Reduce your company’s water consumption while protecting the environment by utilizing treated water for non-potable reuse projects. If you need further assistance, we’re only a phone call or email away. With more than 30 years of experience, we bring you the best, most innovative water treatment systems possible.